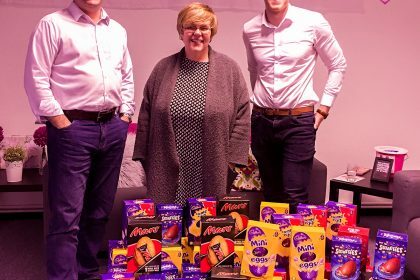 Co-founders at Hunter Heywood sourced Easter eggs instead of candidates this week in support of Newcastle-based Alice Charity. The Charity specialises in support disadvantaged and vulnerable families in Stoke-on-Trent and Newcastle-under-Lyme, offering support with skills development, signposting, emergency food parcels, the provision of essential equipment and more. 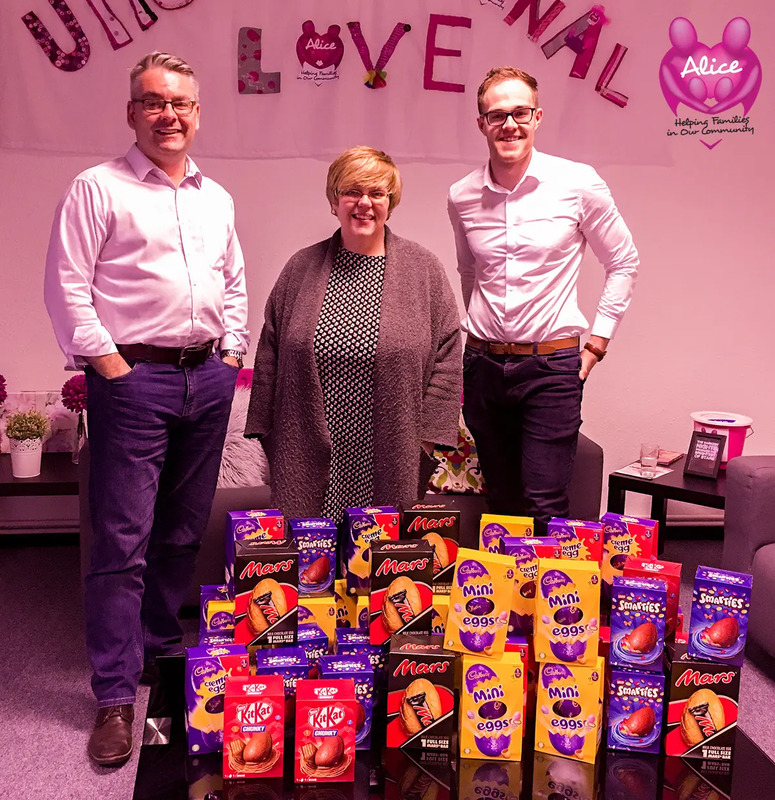 “Our Fortunate 500 scheme provides a regular income stream that is absolutely vital to the sustainability of the charity, enabling us to continue emotional and practical support to the most disadvantaged, local families for as long as they need us,” added Stephanie Talbot, CEO of Alice Charity. For more information on the work the Alice Charity do, please visit https://alicecharity.com or call 01782 627017.